Press Statement of Indian Workers’ Association, Great Britain Condemn the Massacre of 13 Protesting People by The Police in Thoothukudi, Tamil Nadu! 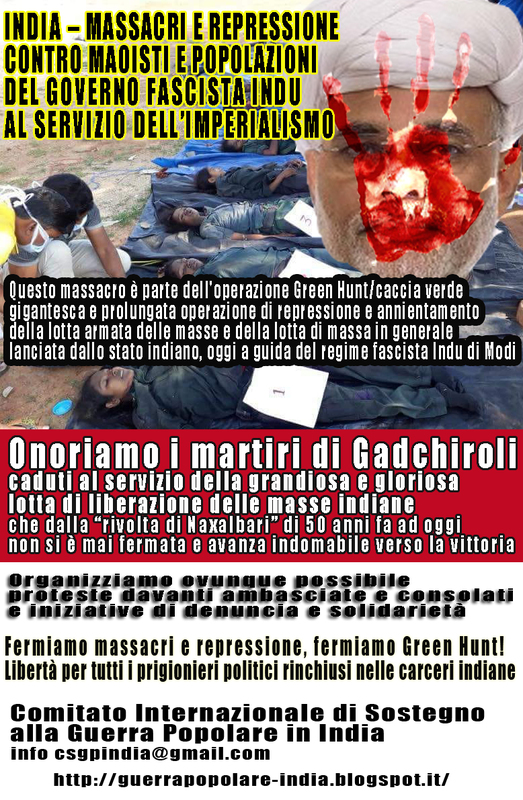 Condemn the Indian State that Protects the Corporations and Kills its own People! have been protesting for more than two decades against Sterlite, which has been severely polluting the water courses, ground waters and the air in the surrounding areas, causing several deaths and miscarriages. It is to be noted that the Vedanta Group has a track record of Goa mining scam, destruction of the environment and serious violation of human rights. They were kicked out of Maharashtra in 1994 as a result of people’s protests only later to be allowed location in Tamil Nadu, without due consultation with the local communities and in gross violation of the environmental regulations. They have been the subject of strong protests by thousands of tribal (indigenous) peasants against their bauxite mining and aluminium processing plant in the Niyamgiri hills of Orissa State. We have seen the spine-chilling photograph of a policeman aiming a gun in Thoothukudi last week at the anti-Sterlite protesters. Why do you think police open fire on innocent people when there are other ways to handle law and order problem? Does it bring to mind other incidents of police firing on protesters? The police firing incident at Thoothukudi reminds me of firing on protesters in Nandigram on March 14, (the death anniversary of Karl Marx) where 14 people were killed, and also killing of 11 people in Kalinganagar in 2006. 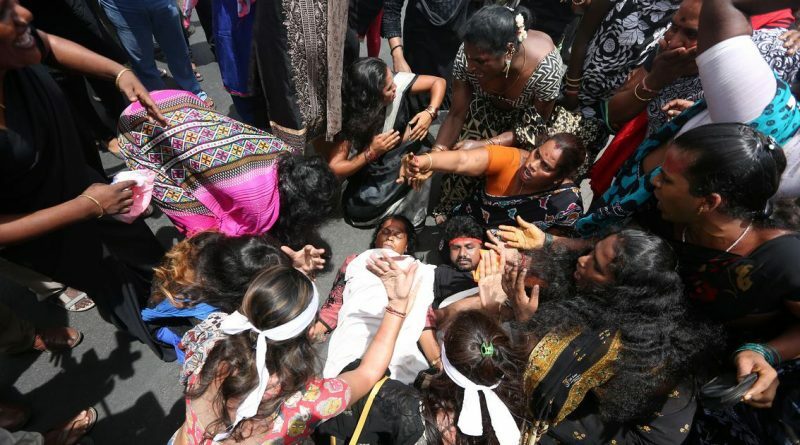 The dragging of the body in Thoothukudi (Tutikorin) reminded me of Ramabai Nagar firings in Mumbai’s Ghatkopar in 1997, where 11 Dalit protesters were shot dead and their bodies dragged like carcass of dead animals to the police van. In Nandigram, it was for Salim Group, an Indonesian company, in Kalinganagar for Tata, now this is for Vedantha, the most notorious MNC by now infamously known for Niamgiri. Arundhathi Roy, while entering Dandakaranya – on invitation from Maoists – found the Vedantha Cancer Hospital at the entrance of Bastar and guessed that there must be huge mining activity of Vedantha in DK (Dandakaranya). It’s in the vested interest of big companies that these genocides of adivasis, fishermen, women dalits and minorities are taking place. Does this sort of brutal attack, shutting up dissenting voices – lead ordinary people to take up arms against the State? People protest when the government, ruling classes, upper caste, religious majority attack the rights of toiling people. Satyagraha, non-cooperation, sasanalonghana – defying undemocratic law have come to stay as Gandhian protest forms almost for hundred years. Strike, rally, dharna, gherao are all the protests of working class since Naval Revolt, Chowra-Chowri movement etc. Taking up arms against imperialism, colonialism has a political Indian tradition for over 100 years with the formation of Gadar party for Independence. Krishna preaches violence in the Bhagavad Gita, the Sikh Qualam has five kinds of self-defence arms on the body or person. So to say that non-violence is Indian or Hindu culture is a hoax. Hindutva as religion believes in hierarchical caste system and violence. People used tools for hunting, agriculture production, self-protection (bows, arrows, swords, sickle). The first war of Indian Independence 1857 was revolt of the sepoys. Class struggle is not the brainchild of Karl Marx and Angels, it’s their historical, materialistic, dialectical discovery from history of humankind since the beginning of class society. Armed struggle is necessary for the toiling people. Taking arms by the ordinary people is entirely different from armed struggle to overthrow the semi-feudal, semi-colonial bureaucratic system. It happened in Telangana or Hyderabad princely State during 1946-51 occupying 10 lakh acres of land in 3,000 villages by landless poor and agricultural labour class. 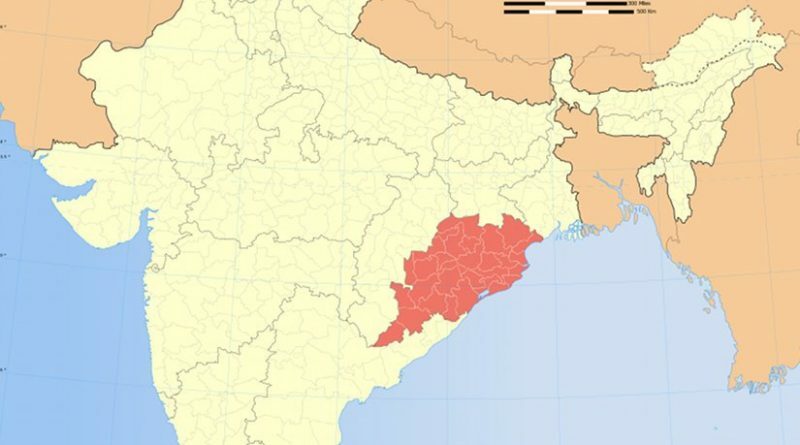 In Naxalbari Uprising in 1967 in Bengal, a new democratic revolutionary path had emerged which is continuing for 50 years despite setbacks – maybe the longest history of armed revolution in the world continuing in eastern and central India in Dandakaranya, Bihar, Jharkhand, Odisha, AOB and the Western Ghats. Do you think armed reaction for armed action will solve the problem? Can there be non-violent ways of handling state violence? This may seem unfair to ask in the context of the Sterlite protest deaths, but I am asking in general. Ordinary people may take up arms as retaliation at personal level or collectively as in Thoothukudi. But armed revolution under the leadership of CPI (Maoist) is for New Democratic Revolution laid down by Naxalbari path, ushered into “Janatana Sarkar” in Dandakaranya, provincial revolutionary councils in Saranda or Jharkhand Andhra Orissa Border special guerrilla zone. Such attempts were made in Jangalmahal, Western Ghats, Trijunction and during 1996-1999 in Telangana. Janatana Sarkar established in vast areas of DK, especially south Bastar where Adivasis, Dalits and oppressed classes, castes rule themselves occupying land, implementing alternative development programmes from grassroots level. They form a broad front supported by the party and People’s Liberation Guerrilla Army (PLGA) and have their own people’s militia. After Salwa Judum (2004-2009), Green Hunt (since 2009) and all-out war since 2014, the Modi-Rajnath-Raman Singh government claims it as “Samadhan” to finish the Maoist movement by 2022. There’s displacement and marginalisation of Adivasis by burning villages, mass rapes, killing Adivasis in the name of encounters since they resist entry of corporate capital with state agencies. The corrupt media is depicting it is as Maoists preventing development of Adivasi areas. Salim in Nandigram, Tatas in Singur, Jindal in Jangalmahal have done violation – whether you agree with the method or not, it’s only Maoists who could stop Jindal in Jangalmahal from occupying 5,000 acres of adivasis’ land and destruction. So, people taking up arms is not only protest or resistance against state violence, but also for seizure of State power. Naxalbari, 50 years back has shown the way to abandon parliamentary path. Is the State becoming more and more intolerant? In Marxist understanding, State is always an oppressive tool of exploiting and ruling class. Of course, after 1990, fall of Red flag in Russia and East Europe and USA merging as unipolar Global Imperialist force, the state in trying to be transparent is openly saying that it is not a welfare state. Roti, Kapdu, Makan, Education, health, drinking water are not the State’s responsibility. Instead every country has become answerable to the World Bank. The development program given by the World Bank is Globalisation, Privatization and Liberalization – development in the interest of Corporatization. The State has to play only a role of facilitator/agent. It is but natural that the state is becoming increasingly intolerant to complete the MOUs signed with MNCs. The recent massacre of 42 people in Gadchiroli in the vested interest of Lloyds and the police firing in Thoothkudi are to be seen in this light; attacks on the Dalits and Muslims are also for that. Protests take place, but corporate funds and enormous State power silence dissenting voice. 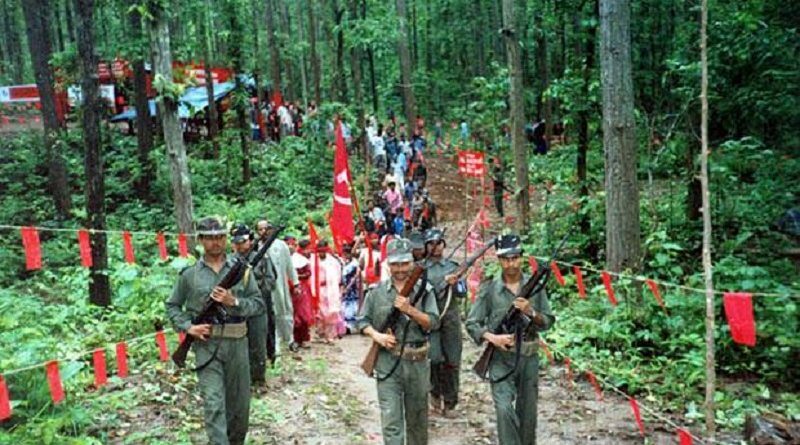 Is it difficult to inspire today’s youth to Naxalism? Your question is my answer. Any kind of repression or reform won’t solve the problem. The real problem is that the so called “development policy”, is in essence destructive policy to displace and marginalize the toiling masses. The youth with solidarity to this wretched of the earth can’t but have to choose Naxalism. Many Naxals are surrendering, they are happy with jobs and peaceful life. The Centre and states say that Naxalism is a development issue, and they are handling it as such. Do you think they can address the problem? Maybe those who surrendered without cases or sections of cases are happy in normal life. But you know the lady who surrendered and got married in front of Mamata Banerjee, the Chief Minister of West Bengal might have caused the arrest and encounter killing of Kishanji. We have so many Nayeem’s examples here. It is the same case in Jammu and Kashmir, Northeast states, Jharkhand, Odish, DK etc. State will not allow anybody to live peacefully. Throughout the country, the Left parties have become weak, the BJP is becoming more powerful, there’s rise of the right-wing all over the world, identity politics is changing political dynamics everywhere. Under this backdrop how do you think “people’s movement”, the leftist ideology, the Maoists can be heard, or can make a difference? 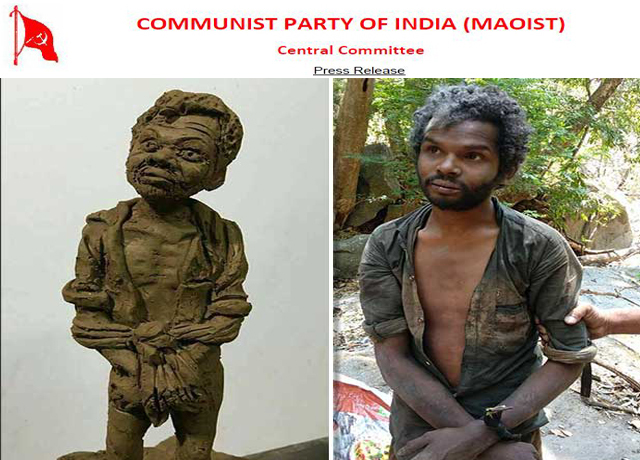 Will the Communist Party of India (Maoist) join Parliamentary democracy? Is that a more “acceptable” paradigm to the people? (here I mean not just the oppressed, but those who agree with the principles but may not be in favour of an armed fight against the State). I don’t think so. If CPI Maoist joins the so-called parliamentary democracy, it does not remain a Revolutionary party leading class struggle with armed struggle to achieve New Democratic Revolution. Today’s CPI Maoists’ task is to fight against imperialism, fascism and Brahmanical Hindutva fascism on two fronts – a broad democratic form with all anti-imperialist and anti-feudal forces and its protracted armed revolution. NAGPUR: The red guerrillas have announced an ‘all Maharashtra bandh’ on May 25 in protest of the fake encounters at Kasnasur in Maharashtra’s Gadchiroli and Ipenta in Bijapur district of Chhatishgarh in April. This is the third bandh called by the Maoist in protest of the Kasnasur encounter within a span of a month. The latest information was received by the security agencies through a banner and few pamphlets of the Reds spotted near Gatta Jambia village on Sunday morning. The banner, which also appeals the masses to observe the week between May 19 and 25 as ‘Pratirodh Saptah’ or week of resistance in the memory of their martyred comrades, was found hung near the village. Anyone can never stop People’s War! 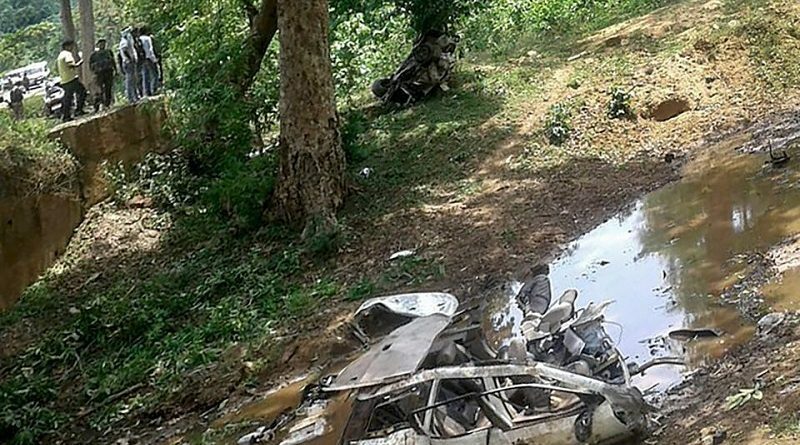 Seven police personnel have died after Naxalites blew up their vehicle in Chhattisgarh’s Dantewada district today. The attack took place on a day when Union home minister Rajanth Singh is scheduled to arrive in the state. “After the blast, the Maoists took away weapons like INSAS rifles and AK-47s that the personnel were carrying”, a senior officer said. The powerful explosion shattered the jeep into many parts and left a 10-foot crater. The Maoists who were apparently watching from a distance took away the weapons including two AK-47, two Insas and two SLR rifles. MALKANGIRI:Maoists have reportedly put up posters in Kalimela area, warning contractors of facing dire consequences if they continue to work for the road construction projects. This has spread panic among the contractors engaged in various ongoing projects. The posters have been apparently put by CPI(Maoist) Kalimela Area Committee. “Contractor of Umerkote will be punished if he doesn’t halt the ongoing tar road construction project being carried out with the support of police informers and politicians from Kalimela to Kurub”, the poster reads. The PMGSY road, being built by Rural Development department, will provide connectivity to pockets affected by Maoist menace. 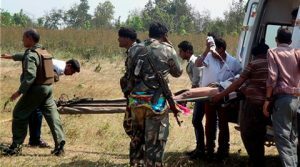 Police declared that an encounter took place between Police and Maoists on April 22nd at Indravati river bank in the region of Boriya and Kasansur in the district of Gadchiroli of Maharashtra. 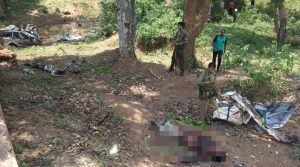 They announced that in that encounter 16 Maoists died. While on 24 of the month another 15 Maoists dead bodies were found floating in the Indravati River.They informed through media that on the whole 40 Maoists were dead. Even though the police have declared that it was an instance of cross firing, it is clear from the use of latest weapons by the C-60 commandos and CRPF forces that they surrounded and unleashed firing unilaterally. 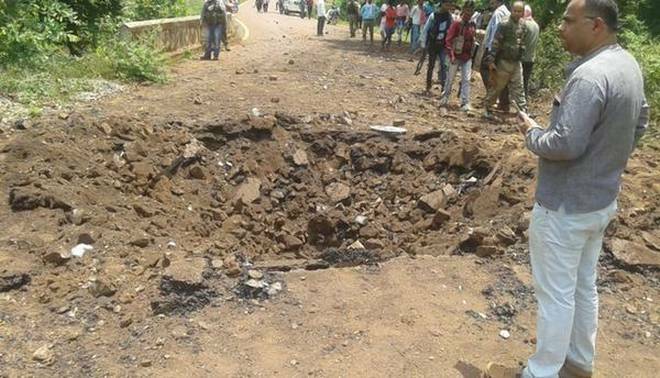 A group of Naxals attacked security forces in Naxal-prone district of Dantewada on Monday. Gun battle broke out between the Naxals and security forces following the attack. 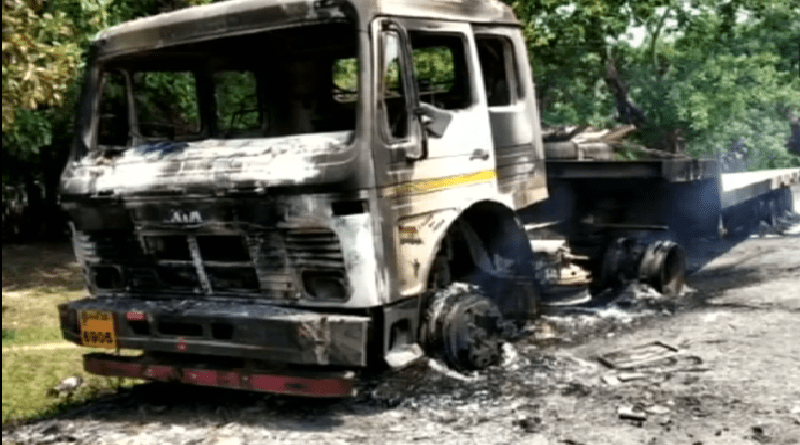 Naxals set a truck and JCB on fire before fleeing the spot.